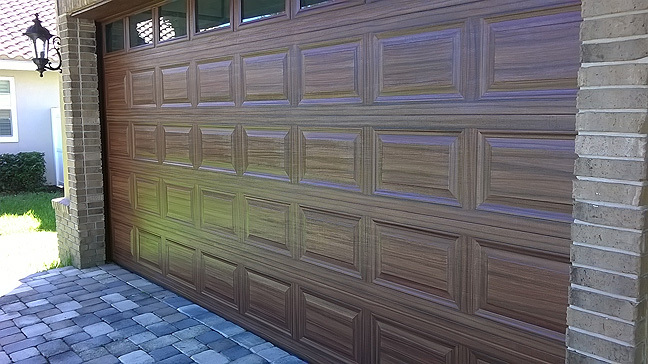 I completed a nice little job this past week. 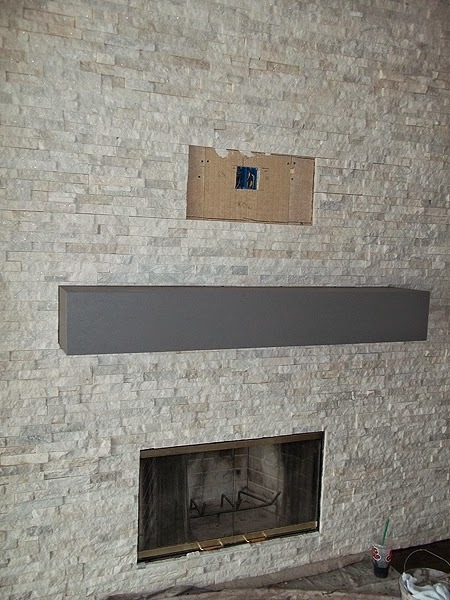 The project was to paint a new fireplace mantel to look like wood. 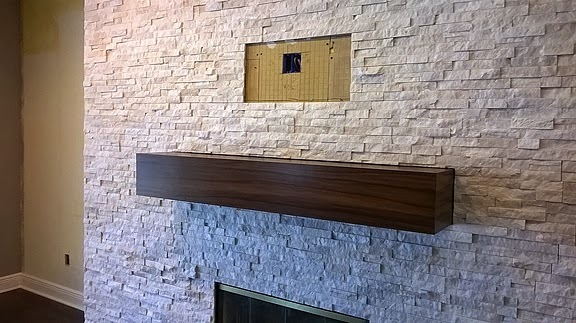 This is a very modern sleek look for the mantel in this newly remodeled family room. 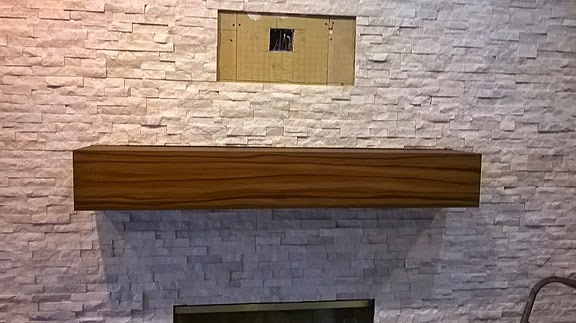 The stone on the wall was added and the mantel is newly constructed. The idea was not to simply stain it but to paint it to match the color of the wood floor and give it a more visually appealing grain pattern. The next two photos show the first two steps. First I primed the wood then when that dried I sanded it down and applied the base coat of color. The empty space on the wall above the mantel is where the tv mounting system will go. 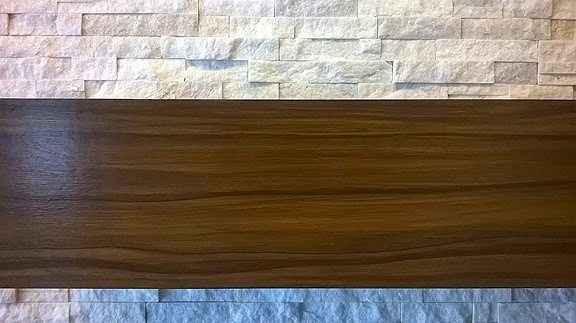 In the next photo you can see the mantel after the first color of wood grain went on. 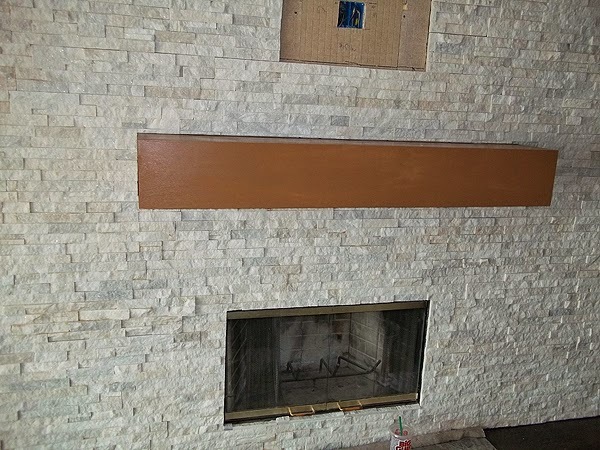 For this mantel I used a Sherwin Williams color called Toasty for the base coat color, then I used a SW color called Terra Brun for the first wood grain color. 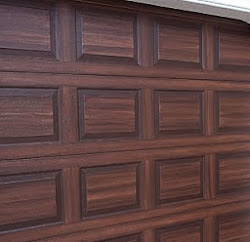 The second and last wood grain color I used is a SW color called Black Bean. When you compare the photo below with the one above you can how the second color has darkened the mantel to right tone we were looking for. I always use at least two colors for the wood grain look as it give whatever I am painting more depth and provides a more realistic outcome.